Long before the Oregon Trail, colonists followed paths first traveled by animals, Indians, and adventurers, to settle new frontiers. One important incentive was the lure of new land. Knowing the migration routes through and out of Virginia, and some of the reason they were traveled may help fill gaps in your ancestors’ story and give you a better understanding of their lives. How and why Virginia was settled, who the early settlers were, and how geography played an important role in the colony. The types of records available, where to find them, and how to use them to further your research goals. According to William Dollarhide in "Retracing the Trails of Your Ancestors Using Deed Records", 90% of adult males in this country before 1850 were landowners. Not many early records include such a large segment of the population, which makes them an invaluable resource for genealogists. In many places, land records provide the longest time period of record keeping and apply to more people than most available records. And yet, land records are often underutilized. Although you won’t necessarily find all the information you want in one record, they can provide information about family relationships, vital events, and family migration patterns. Between 1850 & 1930 an estimated 250, 000 + children in the United States were taken from institutions, off the streets, or from their families, and sent “west” to be placed out. Learn about the origins of placing out and some tips to research an orphan train child. Those of us with colonial Virginia ancestors most likely have indentured servants in our families. We'll discuss the causes, how the system worked, the life of the servants, and research sources. How to get started, what records are available, and what can be found online. 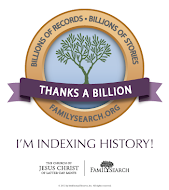 Free apps and software available for all your devices to enhance your genealogy research.